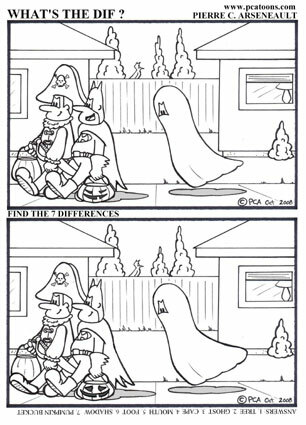 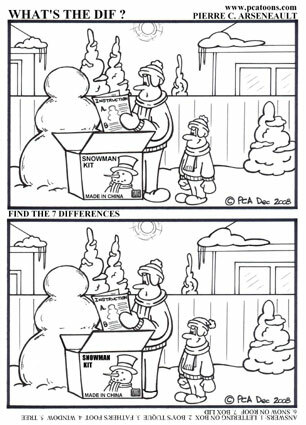 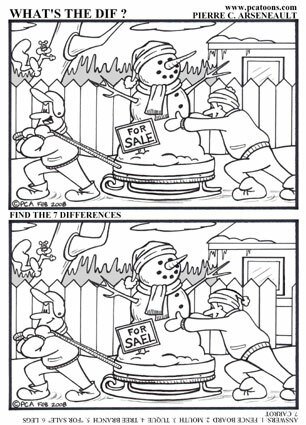 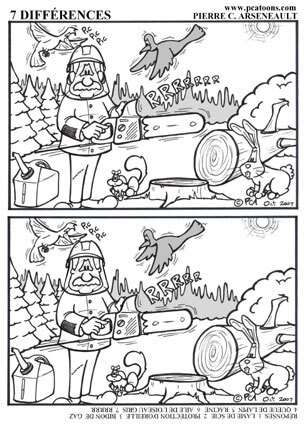 This is a spot the differences puzzle where the objective is to find the 7 differences between the two panels which otherwise are identical. 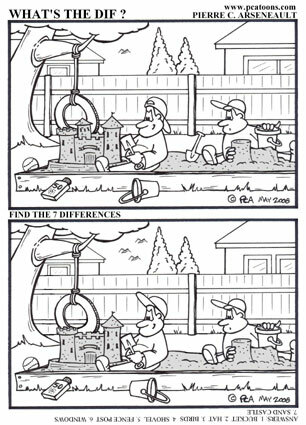 This puzzle is called "What's the Dif?" 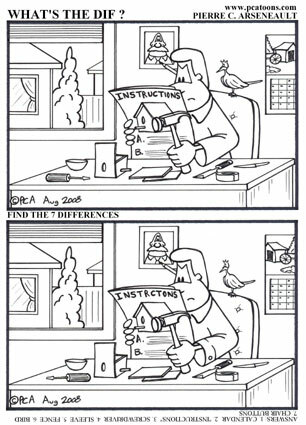 in English and "7 Différences" in French and is available in both a horizontal or vertical format.